We examined the latest developmental research. We looked at how today’s technology can facilitate interaction and improve effectiveness. Then, after a top-to-bottom redesign, Second Step was submitted to the rigors of extensive field testing in classrooms nationwide. 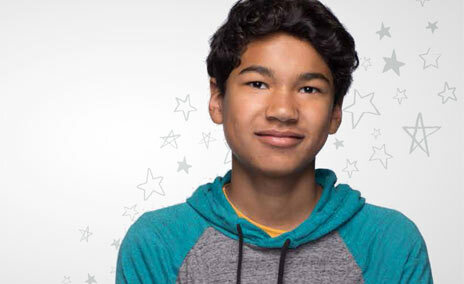 Discover the next step in social-emotional learning (SEL) for middle school. 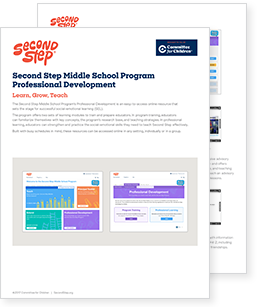 The new Second Step Middle School Program is a first-of-its-kind SEL curriculum that’s modern, web-based, and responsive to the needs of today’s students and educators. It’s underpinned by the latest research in adolescent brain development and social psychology, and it’s been refined through multiple pilot programs in classrooms across the country. The result is a program that doesn’t just help kids do better in school. It helps them do better in life. For any SEL program to be successful, first it has to work for teachers and help them meet the daily demands they face. Extensive field research and piloting have resulted in an intuitive interface teachers are quick to embrace. 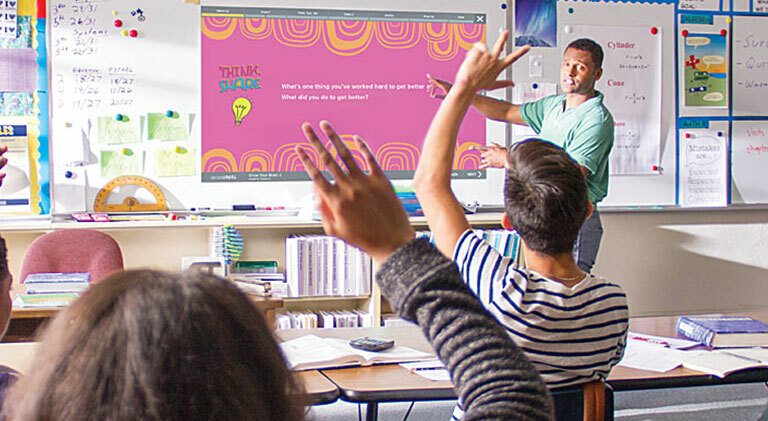 User feedback has led to a program with unprecedented flexibility—it provides a full year’s lessons for three grades and nearly 200 advisory activities, so teachers can expand or adapt it based on the unique situation in their classroom. The program also requires minimal prep time, and because it’s web-based, everything is in one place. Instead of scripted lectures, we created dynamic, relevant, discussion-based content that offers practical skills for situations both in and out of the classroom. 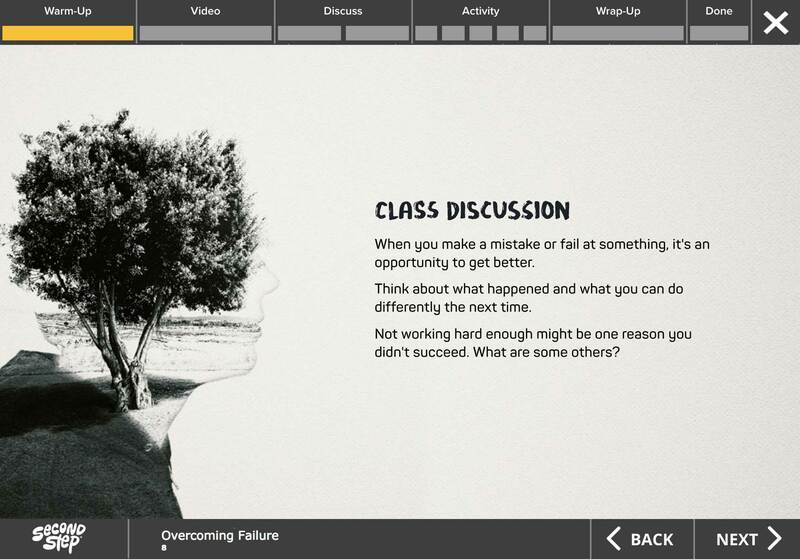 Many lessons feature videos of real kids talking about issues applicable to their daily lives. We also engage middle schoolers the way they love to be engaged: through interactive media. And with the wealth of material, lessons always feel fresh and interesting. Bringing social-emotional learning to every classroom is essential to building a connected school culture. By going schoolwide with Second Step, every adult in the building gains access to the program’s lessons, resources, activities, and professional learning—creating a common language across the school. 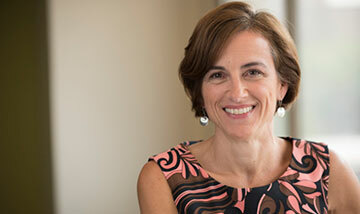 We know that creating a culture of connectedness is fundamentally important, but we also know that it’s a challenge. That’s why we’ve developed resources that make a schoolwide implementation easy for educators. 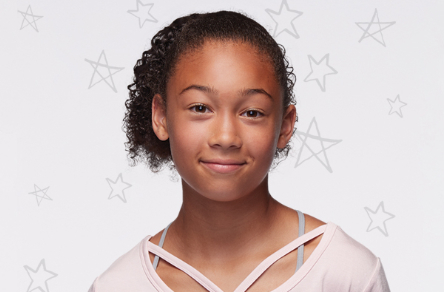 For each grade, the program is fully loaded with a year of weekly Second Step SEL lessons. There are nearly 200 advisory activities, program training, professional learning, and an abundance of additional resources—such as lesson plans to extend SEL throughout the day, SEL rubrics, and much more. A Principal Toolkit is also included with schoolwide licenses, offering administrative and implementation resources. The program’s lessons, which take approximately 25 minutes each, are projected from a web-based portal and require little prep time. They address four key areas of SEL. 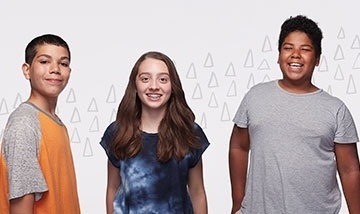 Students learn to make decisions based on their personal values and to build strong friendships and relationships while avoiding negative ones. 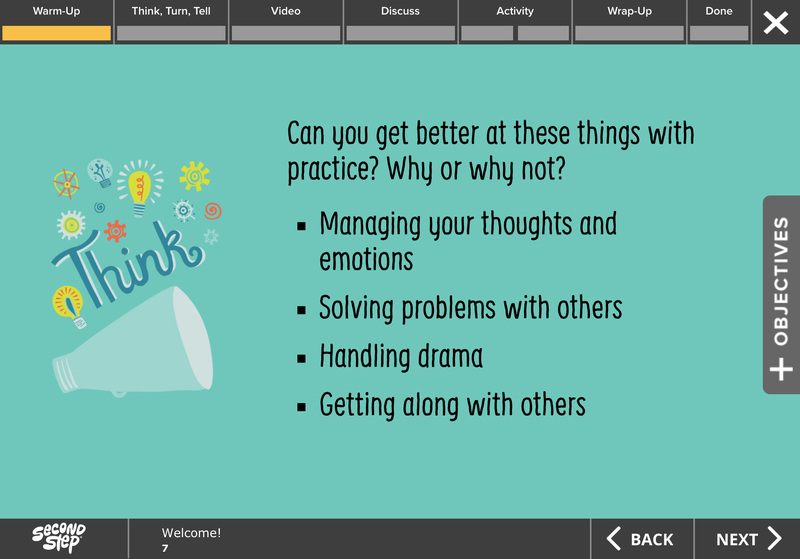 Students are taught the relationship between thoughts, emotions, and decisions and learn strategies for staying in control when they’re experiencing strong emotions. Students are taught how to identify, avoid, and resolve serious conflicts. They also learn strategies to prevent bullying and harassment. A complete list of units and weekly lesson topics for three grades of social-emotional learning. A hallmark of the Second Step Middle School Program is its stand-out media component. 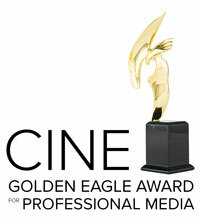 Seventy videos woven throughout the program bring lessons to life, maintaining a standard of excellence recently honored with the 2018 CINE Golden Eagle Award for Children’s Programming. An extensive range of original content, stop-motion animation, custom illustration, and music infuses the program, adding up to an experience that engages students and makes social-emotional learning relevant to them in their everyday lives. Watch a sampling of the award-winning videos. Educators can create a complete advisory program from the nearly 200 scripted Class Meetings, Class Challenges, and Service-Learning Projects included in the program. These advisory activities can be used with their corresponding weekly lessons to reinforce skills or as stand-alone experiences. A Professional Development section provides staff with two learning opportunities. The Program Training familiarizes educators with program concepts, research, and teaching tips. In Professional Development, a series of short modules help bolster educators’ social-emotional skills. Both can be completed individually or in groups. Administrators can support program success with implementation tools and an online dashboard for monitoring use and progress. Available with purchase of a schoolwide license. 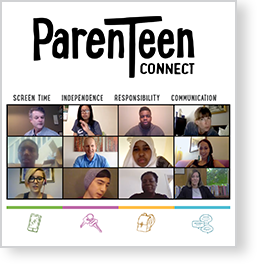 Included in the program, both in advisory materials for students and as an at-home family engagement resource, is this online experience featuring candid videos and the guidance of parenting expert Dr. Laura Kastner. 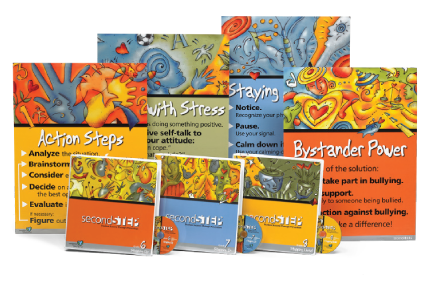 Designed by social-emotional learning experts, it helps teens and the adults in their lives communicate, connect, and break through on hot-button topics like communication, independence, responsibility, and screen time. 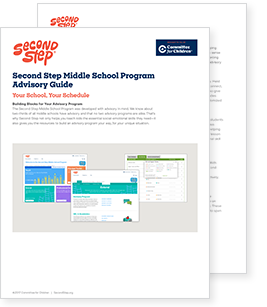 Look inside the new Second Step Middle School Program. This short video tour will show you what it’s like to navigate the modules and use the features within the program. We offer live and recorded webinars so you can hear from experts about our programs and ask us questions. Check out our Middle School Program’s schoolwide license and invite as many staff as you would like to try out the program. All staff can access training, set up classes, view and teach lessons for grades 6-8, and leadership can use the Principal Toolkit to track staff progress. Plus if you like the program, you can upgrade your free trial to a schoolwide license. To sign up, email support@secondstep.org or call 800-634-4449, ext. 1. More is known every year about growth mindset, emotion management, social connectedness, and important skills and concepts that can make a positive difference at this age. 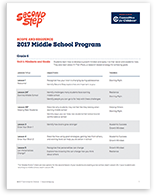 The new Second Step Middle School Program draws from the latest research to help students handle strong emotions, make and follow through on good decisions, and create strong friendships while avoiding or de-escalating peer conflict. See how the program complements your current standards, frameworks, and practices. What’s a schoolwide license? 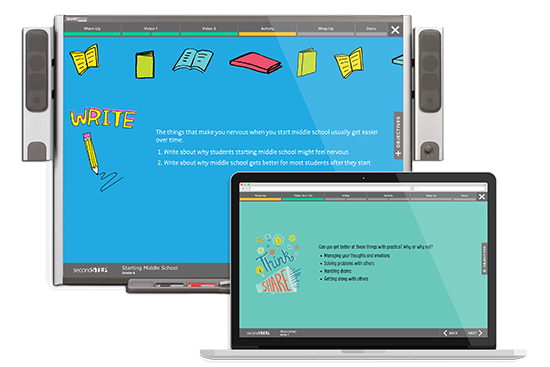 It allows access to the lessons, activities, and resources for a nearly unlimited number of your school’s educators and staff so all students can be supported in and out of the classroom. 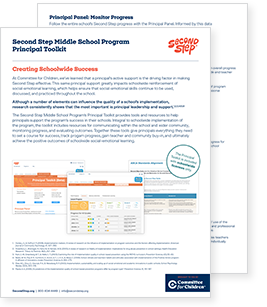 It also comes with a Principal Toolkit so administrators can lead and communicate about the program’s implementation effectively and monitor schoolwide progress over time. It’s an investment in a positive school climate, and it brings the benefits of SEL to every classroom. Read more about what’s in the Principal Toolkit. Why Purchase an Individual License? Individual licenses are also available—perfect for trying out the program in a single classroom for one grade (6, 7, or 8) with one user login and the ability to create one class in the online portal. The ability for each user to create multiple classes, all-staff schoolwide access, and the Principal Toolkit are not included with an individual license. See all our Middle School products. Our Middle School binders are still available for purchase.